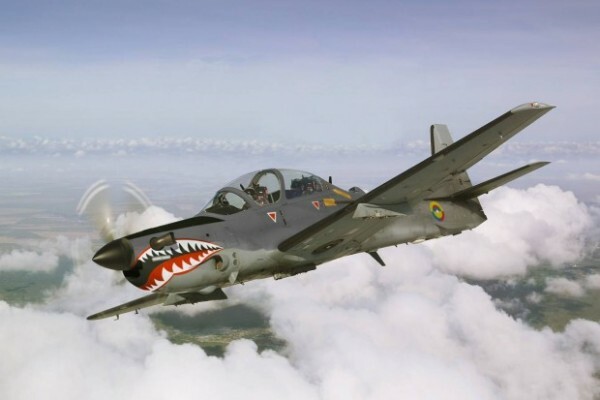 Four A-29 Super Tucano light attack aircraft were formally handed over to Lebanon by the United States at Hamat air base on June 12, two months ahead of schedule, completing an order of six planes. The aircraft arrived in the country on May 28. Speaking at the handover ceremony, the commander of the Lebanese Armed Forces, General Joseph Aoun highlighted the “historic friendship” between the U.S and Lebanese militaries. “Our meeting today confirms the firm will of the United States of America to support the Lebanese Armed Forces in the war against terrorism and to preserve their stability during the crises that the region is witnessing,” Aoun said.